Developed for the FBI in the 1990's as a reduced power 10mm, .40S&W fits as a bridge between the capability of 9mm and the size of .45Auto. 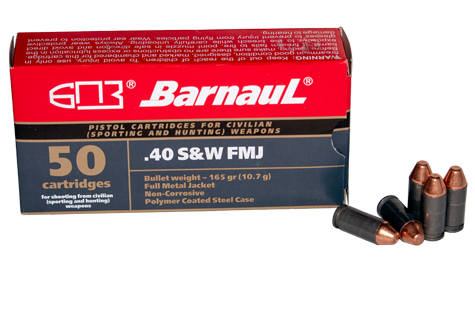 The .40S&W cartridge found a home with law enforcement nationwide, offering terminal ballistics and larger magazine capacities. The .40S&W is still widely used today in competition and self-defense in large and medium size pistols.